[COMMENT] The annual 'I-have-a-lot-of-complaints-about-this-race-but-in-the-end-I-still-sign-up' race is scheduled for 8 and 9 Dec. Mark your calender! Who's in? Event management: IRONMAN (Asia) Pte. Ltd. Despite being stuck at the baggage drop debacle last year, I will be in for full marathon. Not me.... I intend to go for Osaka marathon. 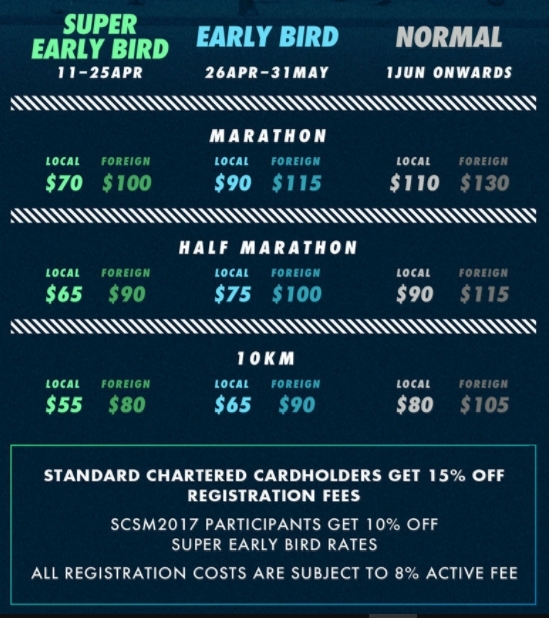 all the year running the same old Singapore marathon until sian....I think better to run Macao Marathon, alway same date as SCMS. At least they tried to change up the route in the past few years. And if running ECP is still not your thing (which is the feedback you gave previously too), then yes go sign up for something else. Saturday 8 Dec is the kids run and 9 dec Sunday is the main run. so no night race this year? Marketing or planning? If marketing then I don't understand why it will take a few years. Planning takes time but also no need that long bah. I doubt it will turn into a night race anytime soon. Logistics are more challenging to manage and so far Ironman have not proven itself to be able to handle them well yet. I disagree that you need that much time to market such a change. I understand you would think that runners would need time to adjust to changes, but that is probably more so for loyal runners who are used to running in certain timings in the past. As a runner, it doesn't bother me that much to run in the day or night. As an organizer I don't think that would affect my marketing plans too and besides I can reach out to new runners whom I can get to register that like running in the evening. No amount of time planning would ensure that things will go right on the actual race day. It's mostly about learning through the years. And even that does not guarantee that the leanings will be taken seriously and will equate to a better and better running experience (Refer to our local marathons). 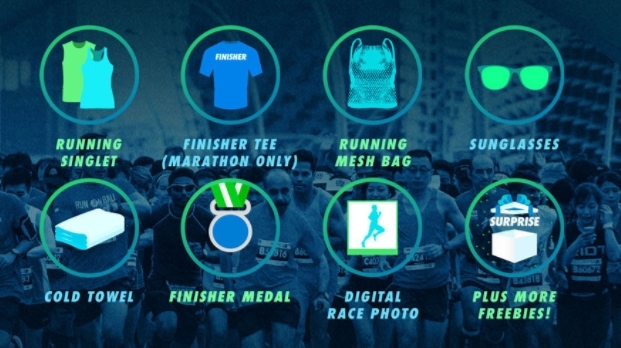 As a previous SG run event participant, I am annoyed how race organizers here don't get their basics right when comes to event execution (logistics such as race pack collection, bag deposit, actual race experience, post-race finisher entitlement collection etc). They have their chances to improve the run event execution from runners' feedback, media coverage which they don't do a good job here! Don’t have a card? Apply for two credit cards now and get up to $120 cashback upon activation. Plus, receive an additional $20 cashback when you make 5 qualifying mobile wallet transactions using your newly approved credit card. T&Cs apply –sc.com/sg/credit-cards/cardssignup-tnc — with Tall Shufen, Rob Lim and Arthur Chai. Don't count too much hope on the organisers and agree with you "different problem" may surface. With sunglass as a participant's entitlement, I think we can confirm that it'll not be a night race this year. "All Registration Costs Are Subjected To 8% Active Fee" ! It was the same last year wasn’t it? Don’t think it’s new. I registered for FM. Take note of the size of the Singlet and Finisher T. It is still quite big so I choose S and XS .